For other uses of the word "Halo", see Halo (disambiguation). "Halo is an epic journey to save humanity from a terrible menace." The Halo universe is the sprawling fictional universe in which all Halo media takes place. In the 26th century, humankind has colonized hundreds of worlds in Earth's interstellar neighborhood, only to stumble upon a hostile alliance of aliens known as the Covenant. Motivated by the Prophets' promises of ascension to godhood in the form of the eponymous Halos, a series of ring-shaped superweapons built by the ancient race of the Forerunners, the Covenant are bent on humanity's destruction. 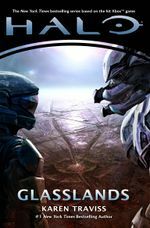 With the apocalyptic Human-Covenant War concluded, members of both sides are faced with an uncertain future in a politically complex environment of numerous different factions and affiliations, while ancient Forerunner entities and technologies continue to involve themselves with the galaxy's affairs. 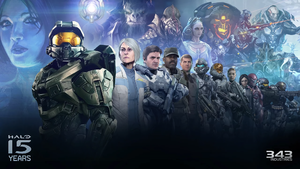 It is this universe where the Halo video game series: Halo: Combat Evolved, Halo 2, Halo 3, Halo Wars, Halo 3: ODST, Halo: Reach, Halo: Combat Evolved Anniversary, Halo 4, Halo: Spartan Assault, Halo 2: Anniversary, Halo: Spartan Strike, Halo 5: Guardians, and Halo Wars 2 take place. 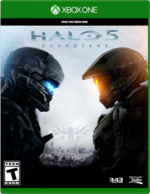 In addition to the games, a number of Halo novels and other media including audio dramas, comic books, tabletop games, films and an anime collection have been released. The media beyond the game series expands into the Halo universe timeline before and after the events of the games, as well as running concurrently with the games' timeline. The emblem of the UNSC. In the 26th century, most of humanity is ruled by the Unified Earth Government (UEG). As most of the material from the Halo universe is from the ongoing war we see the future mainly through the eyes of the UEG's military arm, the United Nations Space Command (UNSC). During the events of Halo 2 and Halo 3, the UNSC fought the Covenant over Earth in a last-ditch attempt to protect the human race. The events of Halo: Reach are fought defending the planet Reach, the UNSC's former military headquarters. The UNSC was formed by the United Nations when overpopulation on Earth and conflict in the Sol System started becoming a severe problem in the early 22nd century. In the wake of the Interplanetary War in the 2160s, the UNSC became the military and space exploratory arm of the newly-established Unified Earth Government. After the emergence of the Covenant threat, the UNSC was given power over the UEG and its colonial governing agency, Colonial Administration Authority, although the civilian government was formally returned its power after the war. Run by HIGHCOM, the UNSC is Earth's premiere defense against external threats. The UNSC Navy houses the divisions of Marines (including the Orbital Drop Shock Troopers), the Office of Naval Intelligence (ONI), and the fleet. 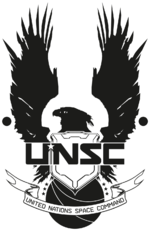 The UNSC Armed Forces includes the UNSC Army, the UNSC Air Force, and Spartan Operations, along with the Navy and Marines. Originally designed to keep the peace between neighboring planets and star systems, when certain rebellious factions began to present a problem in the late 2490s, the UNSC was forced to police its colonies to keep privateers and pirates from raiding them. There are several breakaway factions opposed to UNSC and the Colonial Administration Authority as well, collectively known as Insurrectionists. The Swords of Sanghelios' symbol. The Swords of Sanghelios is a splinter faction of the Covenant formed by the Arbiter Thel 'Vadam and Shipmaster Rtas 'Vadum, based upon an ancient Sangheili order. Formed from the initial alliance out of desperation with their former human enemies, the UNSC, they played a key role in ensuring the salvation of the galaxy and start a new era of relative peace alongside the UNSC. Facing civil war after the end of the Human-Covenant War, the Swords became a major faction within the galaxy's political and military state. Alongside the UNSC they shared the Joint Occupation Zones, research and monitoring stations on the Halo rings as well as MJOLNIR armor. Much of the Swords' trouble came from the Servants of the Abiding Truth and Jul 'Mdama's emerging Covenant faction, both directly and indirectly caused by the Office of Naval Intelligence which sough the destabilization of the Sangheili race. Ruled by a large council of kaidons, the Swords of Sanghelios attempt to bring peace and unity to Sanghelios, the Elite homeworld, as well as returning the old values and traditions of Sangheili past. With their UNSC allies, they are succeeding in creating a new era of peace. Originally formed by as an alliance between two species; the Prophets (San'Shyuum) and the Elites (Sangheili), the Covenant was a theocratic hegemony of multiple alien species. The name "Covenant" is based on the binding Covenant formed between the two races, when the Sangheili promised to defend the San'Shyuum as they searched for the "Sacred Rings" (Halo Array) which are said to start the "Great Journey", a term that the Prophets use to explain the disappearance of their Gods, the Forerunner race. The quest of the entire Covenant, the Great Journey is the basis of all of their worship. As the Covenant Empire grew over a millennium, more species were enslaved to their cause, although, up until the Great Schism, none of them were quite as important to the Prophets as the Elites. At first, the Covenant were mostly held together by a need to survive, but as their society advanced, so did their technology, culture and religion. Now the polytheistic Covenant control a large part of the Orion Arm of the Milky Way galaxy and their society is a complicated caste system, with the Prophets still on top, governing the Covenant along with the Elites. The Covenant is a theocracy, based on a prophecy about the Sacred Rings and the Great Journey. The actual context of this prophecy is based on the notion that the Forerunners were so advanced that they had found a way to propel themselves to godlike status using their technology. To oppose this, a parasitic race known as the Flood attacked the Forerunners and attempted to stop the activation of this technology. Before the Flood could stop them, the Forerunners activated the Halo Array, and ascended to godhood. The Covenant design is to find the Halos, and use it to propel themselves to godliness as well. The three leading Prophets, the Hierarchs of the Covenant, wanted to destroy humanity due to the threat they pose to their religion: if humankind really are the Forerunners' heirs, then all that the Covenant believe in is false. Not wanting the truth about the humans to get out, the rest of the Covenant have been told that humanity is a direct affront to the Forerunner, much like the Flood in goal, so must be exterminated if the Great Journey is to be completed. After the destruction of the original Covenant in the concluding events of the Human-Covenant War, the former member species fragmented into many factions with varying goals, many of them still hostile to humanity. Flood forms aboard the Mona Lisa. The Flood (called The Parasite by the Covenant) is a species of virulent, parasitic organisms that thrive by consuming other sentient life of sufficient biomass, no matter where in the universe, thus leading Forerunners to the creation of the Halo Array. The Flood appears to be a hive or communal mind, existing in several stages that eventually lead into the creation of a central intelligence known as the Gravemind. The Flood grow and reproduce via the assimilation of other beings, utilizing corpses and acquiring any biomass (including both animal and plant) in order to spread. They are incapable of sexual reproduction, instead they fester inside a host until a certain time period, after which they explode and many new Flood are given off. Once a Gravemind is formed however, the Flood advance to a stage where they no longer require hosts for this, only biomass and calcium, which they require to feed on, and to build bodies with. Once they have advanced, they create hives which can produce thousands of Flood inside large pustules on walls and other surfaces, which act as incubators. During this stage, the Flood are able to build their own life forms using captured biomass and calcium deposits. The Flood continue in this fashion recurrently until either everything is devoured, or until they are stopped, the former usually occurring. In modern times, little is known about their origin, except that they arrived from another galaxy and fought both prehistoric humans and Forerunners, eventually defeating the latter. The Forerunners discovered and then fought them until they were overwhelmed after centuries of war. Faced with the Flood spreading throughout the galaxy and consuming every sentient being, the Forerunners created seven artificial rings called the Halos, galactic superweapons in the shape of enormous rings, to contain and hopefully stop the Flood from ever spreading. The point of the rings was to wipe out all sentient life, thus starving the Flood of the sufficient biomass required for them to continue spreading. Through their own interpretation of Forerunner artifacts, the Covenant believed these rings were actually devices that allowed the Forerunner to transcend this plane of existence into godlike state, and thus they seek to do the same by activating them once more, not realizing they would inadvertently wipe out all sentient life in the galaxy if they were to be successful in doing so. Although it seemed the plan had been successful at eliminating the Flood threat, samples of the organism kept on the rings for study were released on at least two of the installations through accidental means, putting the galaxy once again at risk of complete destruction by the parasite. The Eld, a iconic Forerunners symbol associated with the Mantle of Responsbility. Once the dominant civilization in the Milky Way, the Forerunners reached unparalleled technological advancement over 100,000 years before the Human-Covenant War. Believing to be charged by the mysterious Precursors with protecting less advanced civilizations in the galaxy, they stumbled upon the Flood and fought a three-hundred-year long war to stop the genocidal parasitic species from overrunning the galaxy. When it looked as if they were going to fail at that task, they built and activated the Halo Array - sterilizing the entire galaxy of sentient life including themselves, starving the Flood into submission, and repopulating the galaxy again with those few species saved from extinction. All that remains now of the Forerunners are the ruins of their ancient temples and cities, a few scattered pieces of functional technology, and their automated combat and maintenance constructs. Their technological brilliance, combined with a garbled version of the Halo activation, led to the Covenant's religion revering the Forerunners as deities, and that this state could be achieved again by activating the Halos. In turn, these attempts led to the Human-Covenant War, and the eventual secession of the Sangheili and their alliance with humanity to stop the Covenant. The Insurrectionists are various rebel groups opposed to the rule of the UNSC throughout human space who seek the colonies' liberation from the Unified Earth Government's influence. Following the rapid volumetric growth of the region of space controlled by the human race throughout the 25th century, the UEG found it increasingly difficult to maintain its hold over the Outer Colonies, hundreds of which were scattered across exceedingly large swathes of space. By 2490, the Outer Colonies surpassed the core worlds in number by several hundred. Despite their more discrete composition, the Outer Colonies proved an ample breeding ground for a strong nationalist sentiment among their citizens which in turn led to their perceiving the Earth government—and the UNSC which imposed its will—as a draconian outside force. In 2513, the UNSC initiated Operation: TREBUCHET, one of the largest operations in UNSC history; spanning ten years and costing hundreds of thousands of lives, the goal was to root out the Insurrectionists and impose order in the Outer Colonies. Following the Covenant attack on Harvest and the onset of the Human-Covenant War in 2525, Operation: TREBUCHET was put on halt by the UNSC. Insurrectionist activity as a whole, while not completely gone, died down during the Covenant War. After the end of the Human-Covenant conflict, many insurrectionist movements such as the United Rebel Front which had ceased their operations during the war began to resurface. A number of colonies refused the offer of peace and cut all ties with the UNSC, which, according to them, had abandoned them during the war. Of major significance in the post-war era was the rise of the New Colonial Alliance, founded by rogue UNSC Admiral Mattius Drake, which in early 2553 attempted to hijack the newly-commissioned UNSC Infinity. For more detailed summaries of each faction's technologies, see Human technology, Covenant technology, and Forerunner technology. The Sangheili assault carrier Shadow of Intent using Slipspace technology to travel. Slipspace is the primary method of faster-than-light travel in the Halo universe. Humans have not exacted the science of Slipspace jumping, and can often end up hundreds of thousands of miles away from where they want to be, and therefore they work to be inexact, so as not to end up somewhere like the middle of a planet. The Covenant had worked a way around this, as they can pinpoint jump anywhere in the galaxy, even maintaining their formation. The Forerunners had a superior understanding of slipspace technology, being able to create technologies which allow for manipulation of space-time through slipspace. One of many technologies created by the Forerunners is slipspace translocation, allowing near-instantaneous transit over short distances. Wheeled contrivances similar in appearance to today's vehicles are used by the UNSC. However, the Covenant prefer to use anti-gravity technology assumed to be based on Forerunner technology. AIs work at superior speeds and with greater efficiency than biological beings; helping with astrogation, maintenance, managing, and even battle. Human AIs are grouped into two major categories; "dumb" and "smart" AIs. Dumb AIs are essentially powerful computer programs, which are incredibly intelligent within their programmed fields whether that be battle strategy, or maintaining plantations on human colonies. Smart AIs, which are created by scanning the neural patterns of a human brain, are brilliant and have no limit to their imagination or intelligence other than that of their maximum storage capacity. However, they have a limited lifespan of roughly seven years before they enter a state known as rampancy, which manifests as behavior comparable to human insanity. Due to their rigid beliefs, the Covenant only use AI constructs with only the bare minimum in every respect, only capable of piloting ships and have placed a ban on sentient AIs, which they refer to as associated intelligences. While the UNSC still uses conventional weapons to a great degree, several innovations have been made. Standard armament on UNSC warships includes both conventional and nuclear missiles, guns of varying sizes, and perhaps most notably, the Magnetic Accelerator Cannon, a type of coilgun capable of delivering metallic projectiles at immense speeds. The UNSC also possesses a handful of directed energy weapons, including the man-portable M6 G/GNR anti-vehicle laser. Most Covenant weapons are plasma-based, from their starship weapons to the smallest infantry arms. Several laser-based weapons are also in use, as well as weapons whose methods of operation are wholly unknown. Energy shielding technology, originally developed by the Forerunners, is featured on most Covenant starships, installations and is integrated in some infantry armor systems as well. During their war with the Covenant, the UNSC have reverse-engineered this technology, though its applications are nowhere near as widespread as in the Covenant. Artificial gravity is common on both UNSC and Covenant starships. While some UNSC vessels possess rotating centrifuges to enable this, both factions have developed technology capable of generating artificial gravity through some unknown mechanism. Anti-gravity technology is also used by both factions on their starships, allowing them to descend and hover in a planet's atmosphere. Instantaneous communication over interstellar distances is available to all major factions, with humanity being the most recent civilization to discover a form of this technology. The Forerunner Saga by Greg Bear chronicles the ancient history of the Halo universe. Over ten million years ago, an advanced civilization known as the Precursors controlled the galaxy. Having reigned for billions of years and reached the pinnacle of technological advancement, they seeded the galaxy with life and created many species, including humans and Forerunners. The Precursors held the Mantle of Responsibility, the guardianship of all life in the galaxy. They eventually decided to give the Mantle to one of their creations and they initially selected the Forerunners. However, the Precursors changed their minds on handing it to them - tasking humanity with it. The Forerunners, enraged by their creators' favoring of humanity over themselves, rebelled against the Precursors and wiped them out almost entirely. Some Precursors survived by reducing themselves to dust that, although meant to regenerate their original forms in time, was corrupted over the passage of millions of years and would eventually manifest itself in a completely new form - the parasitic Flood. Meanwhile, the Forerunners would adopt the Mantle to themselves and rise to become the dominant civilization in the galaxy, directing the evolution and development of other species as they saw fit. Records of the truth about the Precursors were lost over time and faded into legend; ten million years after the destruction of the Precursors, Forerunners simply believed that their creators had disappeared and given them the gift of the Mantle. Early humanity first arose on their homeworld Earth, then known as "Erde-Tyrene" and mastered interstellar travel, eventually becoming a prosperous interstellar empire based on the planet Charum Hakkor. They also allied with the San'Shyuum species, who would become the ruling caste of the Covenant thousands of years later. Around 107,445 BCE, however, humanity stumbled upon the nascent form of the Flood parasite near the galaxy's edges. Hundreds of systems were lost to the parasite in a conflict between the humans and the Flood as humans desperately sterilized any infested world while securing new colonies for their dwindled populations in the borders of the Forerunner ecumene. Humanity's aggressive expansion and the perceived violations of the Mantle eventually prompted the Forerunners to take action and go to war against humanity. Despite being forced to fight a two-front war against the Flood and the Forerunners, humanity evidently drove the Flood out of the galaxy. However, the Forerunners, led by the Promethean supreme commander known as the Didact, eventually emerged victorious over humanity after defeating their last stronghold on Charum Hakkor. Following the war in approximately 106,445 BCE, the Forerunners dismantled humanity's civilization, regressing them into a Tier 7 species. The remaining humans exiled to their homeworld Earth, where the supreme Forerunner Lifeshaper, known as the Librarian, tended to them and slowly guided them toward developing a primitive civilization; unlike most Forerunners, the Librarian saw potential in humanity to eventually become the Forerunners' successors. Circa 97,745 BCE, the Flood resurfaced to challenge the Forerunners. Weakened by their struggle with humanity as well as major internal strife, the Forerunners were easy prey to the resurgent Flood. For three hundred years, the parasite claimed numerous Forerunner planets and systems, until virtually overrunning the entire ecumene. As a final resort, the Forerunners - specifically, an individual known as the IsoDidact - fired the Halo Array, a network of superweapons which eradicated all neurologically complex life in the galaxy and subsequently caused most Flood to die out. While life was re-seeded into the galaxy by the Forerunners, the few surviving Forerunners themselves would go into self-imposed exile and not return, passing their Mantle down to its rightful inheritors - humanity. Dozens of millennia after the disappearance of the Forerunners, two original species of the Covenant, the San'Shyuum and the Sangheili, spent years locked in a bitter war over the control of the remains of the Forerunners. The Prophets wished to use the technology to search and explore the galaxy, but the Elites believed such usage to be a desecration of their holy artifacts. As the devastating war ravaged both species, the Elites saw that the only way for them to win was to do the exact thing they opposed; use their own Forerunner technology to adapt and befit their vessels. Eventually, the two species formed an alliance which was formalized with the Writ of Union. Over the following centuries, many species would be absorbed under the power of the Covenant hegemony, and thus conscripted into the search for Forerunner relics, and later the attempt to eradicate the human race. In the late 21st and early 22nd centuries, humanity colonized several worlds in the Solar System, including Earth's moon, Mars, the Jovian Moons, and several asteroids. In the years 2160-2200, various governments and factions fought for control of Earth and its first colonies. As overpopulation and unrest on Earth mounted, new political movements formed including the Jovian Frieden and Koslovics led by Vladimir Koslov, resurgences of fascism and neo-communism which waged the Interplanetary, Rain Forest Wars and Mars clashes and were defeated by the victorious United Nations Space Command. The Unified Earth Government was established following the conflicts, emerging as the rulers of most of humanity who now faced the problem of overpopulation, famine and economic instability caused by the wars. In the late 23rd century, humanity developed the Shaw-Fujikawa Translight Engine, a device which enabled faster-than-light travel through a domain of alternate space-time known as slipstream space. The first extrasolar colony ships went on to colonize worlds in nearby systems within the next decades. The Inner Colonies, as they later came to be known, would be considered the elite, in contrast to the more remote and less wealthy Outer Colonies, formed over the course of the 2400s. In the 2490s, with over 800 settled worlds across the Orion Arm of the Milky Way galaxy, humanity's "Golden Age" of expansion was coming to an end. Gradually, the Outer Colonies had became more isolated and unstable. Their populations had widely varying loyalties to Earth, and taxes and trade restrictions set up by the UEG's colonial governing agencies caused dissent against the Earth government. This eventually led to the Insurrection, an undeclared civil war between the UNSC and the various rebel groups that rose up against it in the Outer Colonies. The book, Halo: The Fall of Reach, details the origins of the SPARTAN-II program and serves as a prequel to Halo: Combat Evolved. By 2517, the UNSC was facing extremely low morale due to piracy and the ongoing Insurrection. In order to remove the rebellion without a significant sacrifice of human life, the Office of Naval Intelligence decided to move forward with the SPARTAN-II project, headed by Dr. Catherine Halsey. Seventy-five physically and mentally gifted children were abducted at the age of six, replaced by flash-clones in a black operation, and drafted into the UNSC. The children went through rigorous training and physical augmentations through surgical and medical means. Code-named SPARTANs, these supersoldiers were trained for a life of battle, and would become a great asset against the Covenant in both frontline and covert operations; the Spartans specializing in both. On February 3, 2525 the UNSC colony of Harvest detected an unknown object on its long-range radar. The object was constructed with materials unlike anything seen before. All contact with Harvest was lost soon after. Ships sent to the system revealed that it had been totally destroyed by a new alien group called the Covenant. A battle group was sent but was defeated by the military superior Covenant ships. Only one ship made it back, the CMA Heracles returned with a message that was sent to them, pre-translated, saying, "Your destruction is the will of the gods, and we are their instrument". The novel Halo: Contact Harvest further details the events that transpired at Harvest and the Covenant leadership's underhanded scheme surrounding the beginning of the war: humans were discovered to be living heirs to the Covenant's gods, the Forerunners, forming a concrete threat to the Prophets' authority as well as the very foundation of the their religion. Rather than reveal the truth to the Covenant at large, the new triumvirate of Hierarchs call for the complete destruction of humankind, under the pretense that humans had committed unforgivable offenses against their gods. In response to the destruction of Harvest, Vice Admiral Preston Cole mobilized the largest space fleet in human history to retake Harvest. The fleet defeated the Covenant ships at Harvest in 2531 but at great cost with Cole losing two-thirds of his fleet. The highly advanced Covenant shielding and weapons systems simply outclassed anything they had and so began the slow destruction of the human race. One by one the UNSC colonies were lost until by 2535, virtually all of the Outer Colony worlds had been destroyed by the Covenant and the Inner Colonies were being invaded. 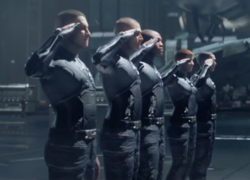 The Cole Protocol was established by military order: all human vessels must ensure that Covenant forces do not find Earth. To achieve this whenever they must jump out of a battle, they must do so to a randomized vector that points away from any human worlds. Halo Wars is set twenty one years before the events of Halo: Combat Evolved and centers around the crew of the UNSC Spirit of Fire. On, January 3, 2531, the UNSC Spirit of Fire is sent to Harvest to assist the crippled UNSC Prophecy. When the Spirit of Fire arrives, the Cole Protocol is then enacted on the Prophecy, in so ensuring its destruction. While scientist Ellen Anders and captain James Cutter discuss the northern regions of Harvest, they realize the Covenant might be after something that is specifically there. Cutter sends Sergeant John Forge to assemble a team and investigate. Forge and his team soon find the presence of a Forerunner relic, and that the Covenant are after it. After clearing a way through Covenant forces, the UNSC's forces enter the relic and find out where the Covenant have been pointed to— Arcadia. Following the Covenant fleet there, Spirit of Fire soon gets entangled in an evacuation process, but they do safely extract some civilians from the colony. After a few more battles, Anders gets taken by the Arbiter, Ripa 'Moramee. The chase continues as the Spirit of Fire follows the Covenant fleet to the Etran Harborage. The search for Ellen Anders starts while it is revealed to both factions that the Flood has taken over the exterior of the shield world. Spirit of Fire enters the shield world's inner shell, looking for Anders, who is now being forced to activate a once-hidden Forerunner fleet for the purposes of being reverse-engineered into the Covenant naval force for easy extermination of the human species. Anders then escapes using a translocation device and then conveniently links up with the UNSC again. This news reaches Spirit of Fire, which then has her FTL drive extracted for the purpose of destroying the Shield World's sun, therefore denying the Covenant the fleet it wants, which would lead to the extinction of the human race. This plan works out, but at the cost of Forge's life, who heroically stays behind to detonate the FTL drive. Without an FTL drive, and the long expected journey home most likely going to take years or decades, the Spirit of Fire's crew enters into cryonic storage, now drifting in space until contact is made. Halo: Reach is set during the fall of the UNSC fortress world Reach. By 2552, many of humanity's Inner Colonies had been destroyed by the Covenant. The UNSC leadership assembled a Spartan-II strike team, at the human command base on the planet Reach. In a move of desperation, the UNSC planned to launch a targeted strike against the Covenant leadership. This plan was abandoned when the Covenant launched a surprise attack on the world of Reach. During this battle, most of Reach is overrun and glassed, and the human fleet obliterated. One of the Spartans, Master Chief Petty Officer John-117, is able to escape on the ship Pillar of Autumn along with her crew. In fleeing the Covenant fleet, the Autumn's onboard AI, Cortana, uses a set of coordinates from a recently discovered Forerunner artifact that leads them straight to the Forerunners' Installation 04. In the game Halo: Reach, the Spartans of Noble Team defend Reach against the Covenant invasion, most of them sacrificing their lives in the process. At the finale, they are given the task of transporting a fragment of Cortana housing critical data to the Pillar of Autumn. Noble Six holds off the Covenant long enough for the Autumn to escape, indirectly enabling humanity's survival in the war. 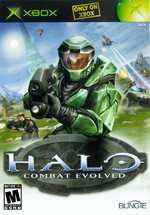 The first game, Halo: Combat Evolved, takes place around and on Alpha Halo. Three weeks after escaping Reach, the Pillar of Autumn exits Slipspace to find a mysterious ring-shaped space station orbiting the gas giant Threshold. The ring, referred to by the Covenant as "Halo", is an artificial construct that is teeming with life. A Covenant fleet, however, is also present, and a subsequent battle heavily damages the Pillar of Autumn and the ship crash lands onto Halo. The first Halo game begins in earnest with the Master Chief's escape from the Autumn, and continues upon landing. The first levels of the game deal with an attempt to reach Halo's control center to uncover its purpose. It is soon discovered that the Covenant have accidentally released the Flood, a parasitic alien species. The Flood then sweep across Halo and devastate human and Covenant forces positioned on it. The release of the Flood prompts 343 Guilty Spark, an eccentric Forerunner AI, to try to activate Halo's defense system, a pulse weapon that, when fired, would wipe out all sentient life in the galaxy large enough to be hosts for the Flood. Technically, that installation only has a maximum effective radius of 25,000 light years, but the pulse would trigger other installations as well, effectively killing all intelligent life in the galaxy. This system is designed to stop the Flood from spreading through the universe if they escape confinement from Halo by the only way possible: starving the Flood of any life source that can sustain them. Naturally, this would wipe out humanity as well, and so the final levels of the game revolve around the Master Chief's attempts to destroy Halo before it fires by self-destructing the Autumn. Despite the abuse sustained during the space battle and the following crash the Pillar of Autumn remained intact, and was subsequently occupied by investigating Covenant forces and later by Flood. Having manually triggered a destabilization of the power cores the Master Chief and Cortana commandeer a Longsword from one of the Pillar of Autumn's docking bays and achieve a safe minimum distance before the Autumn's drives explode, causing the ring-world to fragment. Halo: First Strike takes place between Halo: Combat Evolved and Halo 2. Occurring between Halo: Combat Evolved and Halo 2, Halo: First Strike starts off with Master Chief and a few other survivors in space above the destroyed Halo. They capture the Covenant flagship Ascendant Justice and make their way back to Reach. When they arrive they find the entire planet ravaged; however, on a small patch of the surface left unscathed, it is discovered that Dr. Halsey and several Spartans who survived the fall of Reach have found a Forerunner structure under ONI's CASTLE Base. There they find a special artifact that warps space-time, before being retrieved by the UNSC forces aboard the Ascendant Justice along with other survivors, including Vice Admiral Whitcomb. Cortana, now in control of the Covenant ship, docks with the damaged UNSC frigate Gettysburg and combines their power, also allowing them to return to Earth without violating the Cole Protocol by bringing a potentially "bugged" Covenant ship with them. Damaged in a battle with pursuing Covenant ships, the Ascendant Justice travels to a hidden rebel base in the Eridanus system for repairs. The rebels agree to a truce with the UNSC forces, but the Covenant soon discover their location. In the ensuing chaos, Dr. Halsey abducts Kelly-087 and flees into slipspace aboard the rebel governor's ship. Admiral Whitcomb grimly decides to leave the rebels to fend for themselves while the Ascendant Justice escapes. The Master Chief and other Spartans discover a massive plot to attack Earth. They covertly attack and destroy a massive Covenant refit and repair station along with an attack force many times larger than the one that attacked Reach. In doing so they lose the Covenant flagship; however, they save the Gettysburg and escape back to Earth with it. Halo 2 takes place on Earth and around Installation 05 (Delta Halo). Halo 2 starts with the beginning of a Covenant attack on Earth. 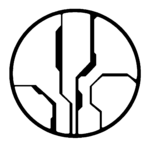 John-117 begins on Cairo Station, one of the three hundred space defense platforms that orbit the planet. After repelling the Covenant boarding parties, the battle shifts to Earth's surface. During the battle, the Prophet of Regret's carrier, Solemn Penance, makes a Slipspace jump and the UNSC ship In Amber Clad, with the Master Chief aboard gets swept up in the ship's wake in a desperate effort to follow it. The In Amber Clad is transported to the vicinity of another Halo ring - Delta Halo - on which they land. The game also follows an alternating story, viewed through the perspective of the Arbiter, an Elite commander disgraced for his failure to prevent the first Halo's destruction. During a mission to quell a movement regarded by the Covenant leadership as heretical, the Covenant recover 343 Guilty Spark. After their mobile capital, High Charity, arrives at Delta Halo, the Covenant becomes embroiled in a power struggle discreetly engineered by the Prophet of Truth, with Brutes usurping the role of the Elites, beginning an apocalyptic civil conflict known as the Great Schism. Meanwhile, a battle rages on Delta Halo's surface. Both the UNSC and the Covenant seek to obtain the Halo's activation index whilst being caught in a battle raging between the Halo's sentinels and the Flood, which has escaped containment. Both the Master Chief and the Arbiter eventually end up in the clutches of an entity known as the Gravemind, the controlling intelligence of the Flood. With its own agenda in mind, the creature tasks the Master Chief and the Arbiter with stopping the Covenant from activating the Halo. The Spartan is sent to High Charity to stop the Prophet of Truth, while the Arbiter is transported to the vicinity of the Halo's control room, where he discovers that the Brutes have betrayed his kind. Confronting Tartarus, the Chieftain of the Brutes, in the control room, the Arbiter learns the truth about the Halos from 343 Guilty Spark: the rings were built to prevent the Flood from spreading throughout the galaxy, and the Forerunners who built it were wiped out when they fired it as a weapon of last resort in the distant past. In spite of this, Tartarus activates the ring in preparation to fire, to bring about the Great Journey. Tentatively allied with the UNSC forces present, the Arbiter manages to defeat Tartarus and the activation index is removed before the Halo can fire. 343 Guilty Spark reveals that although the Index was removed before Delta Halo had time to complete its firing sequence, it sent signals to other Halos in the galaxy, putting them on standby mode. Now, they can be activated remotely from the Ark, whose nature or location is not revealed at this point. High Charity has fallen into chaos as a result of the Great Schism and an invasion by the Flood. The Prophet of Truth, intent on reaching Earth and the Ark, speeds toward the Forerunner Dreadnought in the heart of the city. With Cortana staying behind to momentarily delay the Dreadnought's launch, the Master Chief boards the Forerunner ship as it launches from the Covenant holy city, headed for Earth. Set mainly on the mysterious world of Onyx, Halo: Ghosts of Onyx establishes the SPARTAN-III program. 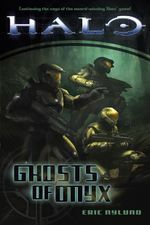 Halo: Ghosts of Onyx, which tells the story of the events that occurred on the planet Onyx, begins in 2545, with the Beta Company of SPARTAN-IIIs deploying to a Covenant fleet refueling depot on Pegasi Delta. 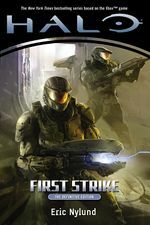 They proceed to destroy the facility, but due to unexpectedly heavy Covenant resistance, all but two of the three-hundred-strong Spartan company is wiped out. The only survivors, Tom-B292 and Lucy-B091, are revealed to be only twelve years old, and Lucy is traumatized and rendered mute. In 2531, SPARTAN-II Blue Team raid a rebel base on planet Victoria to recover stolen nuclear warheads. The team is nearly captured by a rebel ambush, but is saved by the timely, intuitive intervention of Kurt-051. Some time afterward, Colonel James Ackerson presents the top leadership of ONI with his proposal for a new Spartan project. They agree that the SPARTAN-II program is prohibitively expensive and that a more streamlined, "disposable" breed of Spartans must be trained for high-risk operations. Kurt-051 and SCPO Mendez are brought in to train the new generation of Spartans on the classified planet of Onyx. Over twenty years later, in 2552, Teams Saber, Katana, and Gladius of Gamma Company, the third S-III generation, conduct a training exercise when they run into previously undiscovered Forerunner Sentinels. Through a series of events, a group of Sangheili-led Covenant discover the existence of Onyx and the potential Forerunner treasures within, prompting the UNSC to dispatch reinforcements to the planet. Meanwhile, Dr. Halsey, having disappeared on a quest of her own during the events of First Strike, arrives at Onyx and joins with the UNSC forces there. Pursued by the Sentinels and the Covenant, the human force discover an ancient Forerunner city, where they learn that the entire planet is an artificial construct. Fighting off determined Covenant pursuers, they press on into the heart of the planet. Entering a slipspace rift in Onyx's core, they find themselves alone in a vast Dyson sphere habitat. Kurt-051 stays behind to activate a pack of nuclear warheads, sacrificing himself to halt the Covenant pursuers. Subsequently, Onyx itself disintegrates, and is revealed to be composed of billions of Sentinels. Halo 3: ODST takes place in New Mombasa, Earth. Halo 3: ODST tells the story of what happened after the Covenant slipspace jump in the port city of New Mombasa in Halo 2, as seen from the eyes of the Rookie, an ODST, and his squadmates. Prior to the slipspace rupture in Halo 2, a large number of ODSTs are destined to drop into the Covenant carrier that evaded Earth's orbital defenses. The drop is initiated, but the ODST squad of Gunnery Sergeant Edward Buck is commandeered by his superior, and former love interest, Captain Veronica Dare of the Office of Naval Intelligence to drop into the city of New Mombasa, as opposed to the Covenant carrier. The slipspace rupture causes the squad to scatter and land in different parts of the city. The Rookie wakes about six hours later and must find his squad. He roams the night-time city, fighting off Covenant patrols and discovering, with the aid of the city's Superintendent AI, clues that allow him to discover the fate of his fellow squad mates (with each discovery putting the player into that squad member's place for a level). He then picks up on Captain Dare's distress signal. The Rookie fights his way into and through an underground facility where they meet up, and continue to fight their way through a massive Drone hive (awakened by the earlier detonation of an ONI building at the top of the shaft at the hands of Mickey and Dutch). They both fight their way to the Superintendent data core, and discover a Covenant Engineer, one of many biological supercomputers and unwilling assistants to the Covenant, whom has taken apart the Superintendent's memory core and possesses vital information on the Covenant which could turn the tide of the war. They, along with Buck, fight their way down the city's Waterfront Highway, where they witness the Covenant begin to glass parts of the city. They hold off against waves of Covenant until Mickey, Dutch and Romeo arrive to pick them up. They arrive just before the Covenant prepare to glass their previous position, actually discovered to be an excavation project. They manage to escape just in time, only to realize that the Covenant has found what they were looking for. Halo 3 takes place on Earth and the Ark. Halo 3 takes place two weeks after the end of Halo 2. The Covenant have all but obliterated human resistance on Earth, and have committed most of their forces in East Africa, near the ruins of Mombasa. Marines and the Arbiter recover Master Chief John-117 after he jumps from the Forerunner Dreadnought as it entered Earth's atmosphere, and they all make their way back to the local UNSC base, Crow's Nest. The Master Chief defends the base, and is cut off, along with a small group of Marines. They make their way to the town of Voi along the Tsavo Highway through numerous Covenant outposts. It is revealed that a large Forerunner artifact has been dug up under the African desert by the Covenant, and the Prophet of Truth is planning to activate it. Presumably this is the Ark, so therefore this would activate the Halos, and so a hasty attack is set in motion by Lord Hood to destroy the Forerunner Dreadnought with a surprise aerial assault. Master Chief clears Voi of all Covenant anti-air units to clear the path for Lord Hood's frigates for an assault on the dreadnought. However, the assault on the dreadnought has absolutely no effect, and Truth activates the artifact all the same. A large portal is created above the artifact, into which the Covenant forces disappear. Soon after, a derelict Covenant cruiser appears out of Slipspace, and crashes nearby, infested with Flood. The Master Chief and the Arbiter make their way toward the ship, and as they near its location, an Elite-controlled fleet appears, striking up an alliance with the humans and helping rid the city of Flood. Master Chief enters the ship and retrieves a message from Cortana, warning that High Charity is heading to Earth, full of Flood. It is decided that only the frigate Forward Unto Dawn, the ship of Miranda Keyes, along with the Elites, will go through the portal after Truth, and stop him from activating the rings, as well as finding the "solution" to the Flood that Cortana's message spoke of. The human/Elite force arrives at the Ark, and engage Truth's Brute fleet. Master Chief makes landfall and finds the Cartographer of the Ark, which leads him to the location of the remaining Covenant forces at the Citadel. This leads to a trident strike at three shield generators guarding the Citadel at the heart of the Ark. Once all three generators have been deactivated, The Master Chief and the Arbiter breach the Citadel after Truth kills Miranda Keyes and forces Sergeant Major Avery Johnson to activate the rings. After the Master Chief and the Arbiter escape the Flood, they discover that a new Halo is being built to replace Installation 04 which is nearly complete. The Master Chief decides that the only way to destroy the Flood was to activate the newly built Halo, which was out of range of the other installations, with Cortana. The Arbiter leaves to gather the surviving forces and get them ready to leave, and the Master Chief heads to the crashed High Charity to recover Cortana. After wading through tantamount to infinity of Flood, he recovers her and escapes to the new Halo with the Arbiter. After fighting their way up to the top of the control room, the Master Chief and the Arbiter enter the control center, and attempt to activate the ring. However, 343 Guilty Spark attempts to stop the Chief and Johnson from activating the ring, saying that the charging sequence of the incomplete Halo will prove too much for the structure, and cause it to tear itself apart. In the fight, 343 Guilty Spark mortally injures Johnson, but fails at killing Master Chief, who destroys him with a Spartan Laser. They succeed in activating the ring, however as expected, the installation begins to fall apart, and once more does Master Chief makes an attempt to escape Installation 04 in a Warthog. The two board the Dawn, which then proceeds toward the portal. The Dawn heads into the portal just as Halo fires, which closes as it gets halfway through shearing the Dawn in half. Half of the Dawn, as well as the Arbiter, crashes back on Earth, and a memorial service is held for those who perished in the Human-Covenant War, ending on the note of the Master Chief's death. However, unknown to the rest of humanity, the Master Chief survived and put himself into cryosleep, as Cortana activates a distress beacon. Adrift in space for years, the rear half of the Forward Unto Dawn eventually hurtles toward a mysterious Forerunner planet, later to be known as Requiem. Halo: Glasslands is the first novel to be set in the post-war Halo universe. Following the end of the war, humanity begins to rebuild and achieves a number of technological breakthroughs with the aid of an increasing amount of discovered Forerunner artifacts. Despite the alliance with Arbiter Thel 'Vadam, the political situation in the known galaxy remains volatile, with ONI concerned about reprisal on part of the now-divided Sangheili. A Sangheili group known as the Servants of the Abiding Truth push for an insurrection against the Arbiter and his forces, whom they consider to be blasphemous for colluding with humanity. In response to the growing strife among the Sangheili, ONI Commander in Chief Admiral Margaret Parangosky assembles a black operations team known as Kilo-Five, which is assigned on a covert mission to sow discord between disparate Sangheili factions by any means necessary, as well as to arrest Dr. Catherine Halsey once she has been located. 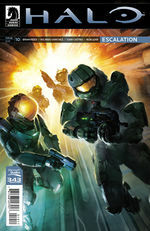 In a concurrent storyline which directly follows that of Halo: Ghosts of Onyx, Dr. Halsey, SCPO Franklin Mendez, and a group of SPARTAN-IIs and SPARTAN-IIIs look for a means of escape from a Forerunner shield world locked in a slipspace bubble in the remnants Onyx. While they are eventually recovered and the shield world is claimed by the UNSC as a research facility christened Trevelyan, Admiral Parangosky has Dr. Halsey arrested and imprisoned as personal retribution. With Halsey out of the picture, Kilo-Five has another growing priority in the rebel-leaning planet of Venezia which may present yet another threat to the UNSC. Meanwhile, the situation on Sanghelios escalates as Avu Med 'Telcam rallies the Servants of the Abiding Truth and their allies into an all-out war against the Arbiter. However, the insurgent forces are driven back as the UNSC's newest and most powerful warship, UNSC Infinity, arrives in the aid of the Arbiter. All the while this is taking place, Jul 'Mdama, a member of the Abiding Truth imprisoned on Trevelyan, looks for a way to escape his confinement and soon learns of the Didact, a mighty Forerunner commander who once held a hatred for humanity. Seeking to enlist the Didact's aid in his crusade against humanity, Jul manages to escape the shield world to the Sangheili colony of Hesduros, where the locals agree to join forces with him in his search for the Didact, laying the foundations for a powerful new Covenant group. In the following years, a number of remnant factions of the former Covenant continue to spring up, with numerous independent warlords laying claim to the Covenant's legacy in spite of the Arbiter's efforts of building peace between the fragmented Covenant and the UNSC. In response to these splinter groups as well as the budding resurgence of the colonial insurrection, the UNSC creates a new generation of augmented supersoldiers in the SPARTAN-IV program; these events are detailed in the comic series Halo: Initiation and the novelette Halo: New Blood. In the game Halo: Spartan Assault, players take control of SPARTAN-IV supersoldiers in a battle against a rogue Covenant faction; one of many disparate conflicts in the years following the Human-Covenant War. Halo 4 centers around the return of the Master Chief and the threat of the Didact. Aboard the severed aft half of the UNSC Forward Unto Dawn, drifting through space for over four years, Cortana notices that the ship's intruder alarms have activated and wakes John-117 from cryo-sleep. Fighting their way through boarding parties of hostile Covenant forces, the duo discover that the ship is orbiting a Forerunner world. Suddenly, a gaping maw on the face of the planet opens and forcibly pulls the Dawn and several Covenant ships inside. Having crash-landed on the shield world, which they soon learn is known as Requiem, John-117 and Cortana engage the occupying Covenant forces while attempting to find a way back to UNSC-controlled space. Meanwhile, UNSC Infinity is approaching Requiem, oblivious of the artificial gravity well which pulled the Dawn inside. While attempting to find a way to contact Infinity, John-117 and Cortana are attacked by mechanical Promethean forces. Activating a supposed broadcast relay in Requiem's core, John-117 instead accidentally releases a Forerunner commander known as the Didact from imprisonment. The Didact declares the return of the Forerunners as the galaxy's rulers and saviors. Having always revered the Forerunners as gods, the Covenant quickly swear alliance to the Promethean. Escaping the core of Requiem, the Chief and Cortana arrive just in time to witness the UNSC Infinity crashing on the surface of Requiem. The Didact makes for the crash-site, followed by the Master Chief, who reunites with the UNSC and Infinity's executive officer, Commander Thomas Lasky, for the first time in years and assists in the defense of the stranded Infinity, and with the help of Marines and SPARTAN-IVs, eventually driving back the Didact and the Covenant forces. Afterwards, Captain Andrew Del Rio has a difference of opinion with the Master Chief on whether or not they should leave Requiem, or stay and deal with the Didact. During a mission, the Master Chief encounters a vision from the Librarian, who warns him of the Didact's plan to enslave humanity using a device known as the Composer. Despite this, Captain Del Rio orders the Infinity to leave Requiem immediately. Disobeying orders, the Master Chief stays behind in an effort to stop the Didact. John-117 pursues the Promethean and his Covenant allies to Ivanoff Station, where the Didact plans to acquire the Composer. Despite the efforts of the Master Chief, the Didact eventually uses the Composer to digitize the occupants of Ivanoff, save for John-117 who is saved by the Librarian's enhancements. The Didact subsequently plans to use the Composer to attack Earth; the Master Chief follows him in close pursuit aboard a Broadsword space fighter. When the Didact reaches Earth, the Infinity and Battlegroup Dakota engage his ship immediately. Armed with a HAVOK nuke, John-117 makes his way into the ship and confronts the Didact, but not before the Promethean general uses the Composer to digitize the population of New Phoenix, URNA. With the Chief incapacitated by the Didact, Cortana, nearing the end of her life, immobilizes the Didact with hard light bindings. With the last of his strength, John disables the Didact with a pulse grenade, sending him falling to a slipspace rupture beneath the Composer, and detonates the nuclear bomb manually. Using the last of her power, Cortana saves the Master Chief from the blast and the two meet for one last time before Cortana fades away. Left floating in the debris field, John-117 is recovered and taken aboard the Infinity. The Next 72 Hours takes place shortly after the events of Halo 4. In The Next 72 Hours, an arc of the comic series Halo: Escalation, it is revealed that the Didact survived his defeat aboard Mantle's Approach. After falling through the Composer's slipspace portal, he finds himself on Installation 03 and encounters the monitor 859 Static Carillon. John-117, reunited with his SPARTAN-II compatriots of Blue Team — Linda-058, Kelly-087 and Fred-104 — after several years, confronts the Didact and with the aid of Static Carillon, defeats the Forerunner commander by subjecting him to the effects of multiple Composers. Static Carillon takes Installation 03 for safekeeping while the Spartans return to Earth. After being debriefed, the Master Chief returns to his team and they depart for new battles — without the knowledge or authorization of Lord Hood. Fireteam Majestic are the protagonists of the Halo: Infinity CGI series. While their defeat at Earth proved a set back for the Promethean-Covenant alliance, it did not result in their defeat. Months later, in February 2558, the Infinity returns to Requiem with a complement of Spartans, determined to reclaim the shield world. Once there, Infinity engages in combat with the Covenant fleet, and deploys ground forces, including Fireteams Majestic and Crimson as well as detachments of other UNSC military forces on the planet. The Spartan fireteams run through a series of search and destroy, rescue, artifact recovery, extraction and assassination ops. During one of these operations, a mysterious Forerunner artifact is uncovered and subsequently brought aboard Infinity. After the device teleports Chief Engineer Glassman to the surface of the planet, Dr. Catherine Halsey is brought in to investigate. Glassman is taken captive by the Covenant and is ordered to activate the Librarian's shrine, though he is not successful. Dr. Halsey begins dialog with an unknown party who shares her interest in the Librarian. The intelligence is actually Jul 'Mdama, who is manipulating Halsey into divulging vital secrets about the Forerunners. Halsey is apprehended after her unwitting communication with 'Mdama is discovered. Meanwhile, Spartan Thorne rescues Dr. Glassman and the pair escape custody. The Absolute Record takes place between Spartan Ops and Halo 5: Guardians. After Dr. Halsey briefly escapes imprisonment and resumes her communication with 'Mdama, Infinity is boarded by Covenant and Promethean forces who capture Dr. Halsey. They take her to the Librarian's "shrine", where 'Mdama awaits. Captain Lasky consults with Admiral Serin Osman, head of the Office of Naval Intelligence, who orders Lasky to assassinate Dr. Halsey. Against Lasky's protests, Commander Palmer departs to execute the order. However, Lasky sends Fireteam Majestic to rescue Dr. Halsey and stop Palmer. Meanwhile, Dr. Halsey successfully activates and enters the Librarian's shrine. The Librarian's essence gives Dr. Halsey an artifact known as the Janus Key, but Jul 'Mdama gets one half of the key. Halsey tosses Gabriel Thorne the other half before she is abducted by 'Mdama. Believing to have obtained what they were looking for, Jul 'Mdama sends Requiem to be destroyed by a nearby star. Deactivating a slipspace anchor originating from Requiem, the UNSC Infinity narrowly escapes the planet's gravity well. Afterwards, Lasky and Palmer observe as Dr. Glassman studies one half of the divided Janus Key. Meanwhile, aboard a Covenant ship, Dr. Halsey seemingly agrees to collaborate with Jul 'Mdama and his forces. 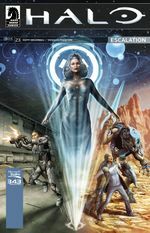 The comic series Halo: Escalation picks up where the events of Spartan Ops left off, continuing the story of the Infinity crew and further exploring the galactic status quo. After several missions unrelated to the preceding events, Infinity is lured into a trap by Jul 'Mdama and Dr. Halsey, resulting in a battle over the Janus Key. 'Mdama and Halsey eventually gain both halves of the artifact, revealing them the location of a critical Forerunner site known as the Absolute Record. 'Mdama's Covenant and Halsey eventually reach the Record, trailed by a UNSC strike team. Due to interference from the Forerunner site's Custodian, neither side manages to unlock the facility, while the AI confiscates the Janus Key. Both sides flee the Record, with 'Mdama's Covenant forces suffering heavy losses and fracturing. Halo 5: Guardians centers around Fireteam Osiris and Blue Team and the threat of Cortana. Master Chief and Blue Team go absent without leave to pursue the AI construct and Chief's former companion Cortana. With Blue Team's loyalties called into question, Spartan Jameson Locke and Fireteam Osiris are sent to locate and return them to the United Nations Space Command. Blue Team go to the ONI station Argent Moon and destroy it, but not before John-117 has a vision of Cortana. Blue Team flees the Argent Moon in a Winter-class prowler and head for Meridian. Fireteam Osiris is told about Blue Team going to Meridian, and they follow. Osiris helps the colony before they eventually set out to find Blue Team. Osiris then encounters the Warden Eternal and they fight. After Fireteam Osiris defeats the Warden they follow Blue Team's footsteps and come across a Guardians. Locke and John fight, and eventually the Guardian leaves with Blue Team aboard, while destroying most of Meridian. Osiris then joins Thel 'Vadam's forces on Sangheilios, to find another Guardian that has been resting under Sunaion. After defeating many Covenant, and even a Kraken, the Arbiter and Osiris head to Sunaion. The Arbiter defeats the Covenant for the second time, and Osiris boards the Guardian, with Sarah Palmer's help. Fireteam Osiris arrives at Genesis in the Sunaion Guardian, and they look for Blue Team. They meet 031 Exuberant Witness and she helps Osiris by bringing in a M820 Scorpion. Osiris takes the Scorpion and fights through Covenant and Prometheans, who were already fighting each other. Osiris then reaches the Gateway and battles two Warden Eternals in a courtyard. Once the Wardens are defeated Osiris follows Blue Team. Right when Osiris reaches them Cortana transports Blue Team inside the Gateway, and Osiris are left to find them. Inside the Gateway the Warden tries to stop Blue Team from reaching Cortana, despite her best attempts to stop him. They fight through many Prometheans, and eventually the Warden Eternal tries to stop them with three of his bodies. Blue Team defeats all three of his bodies and move on. In the next area the Warden brings in multiple bodies, too many for Blue Team to fight. Blue Team is backed onto the edge of a platform, and before the Warden can kill them, Cortana dissolves his bodies. Blue Team confronts Cortana, and she announces her plans to seal Blue Team in a Cryptum. They are unable to do anything, and Cortana seals them in. Exuberant and Osiris must stop Cortana from locking Blue Team away for thousands of years. While Osiris fights Prometheans, multiple UNSC Artificial intelligences begin to swear their allegiance to Cortana, beginning the Created. Osiris fights in a large area and destroys a number of generators. After that they enter another building and defeat the last of the Prometheans in their area. Locke destroys another generator and Blue Team's Cryptum is brought back to them. Cortana leaves with part of her plan being foiled. She arrives over Earth with one of her Guardians and uses the Guardian's EMP to shut down most of the planet's power and defenses. While this happens the Infinity flees Earth's orbit. After 28 years adrift the crew of the UNSC Spirit of Fire find themselves at Installation 00 under the control of the Jiralhanae Atriox's Banished. The Spirit of Fire's crew is suddenly woken up by the ship's former Artificial intelligence Serina. 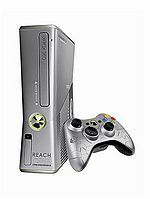 The Halo: Reach Xbox 360 S.
The first Halo title Halo: Combat Evolved quickly became known as the first "Killer App" for Microsoft's popular Xbox video game console when it was released on November 15, 2001, achieving both critical acclaim and financial success. Halo was later published on the PC and finally released for the Mac (for which it was originally developed prior to Microsoft's acquisition of developer Bungie). Shortly after that, the company (Gearbox Software) that ported Halo to PC released Halo: Custom Edition as a free, downloadable and achievable extension to the Windows port of Halo. 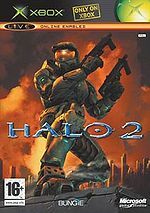 The second game, Halo 2 was released on November 9, 2004, for the Xbox breaking sales records and becoming the fastest selling United States media product in history. Halo 2 US sales top 125 million dollars. A third game, Halo 3, was released on September 25, 2007, for the Xbox 360 and closes this chapter in the Halo series. The Halo games have become well known for the high quality of their graphics, gameplay, physics, and storyline. 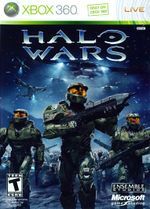 Halo Wars, a Real Time Strategy game, was released for the Xbox 360 on March 3, 2009. 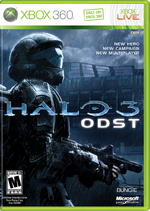 Halo 3: ODST, another First-Person Shooter, was released on the Xbox 360 on September 22, 2009. 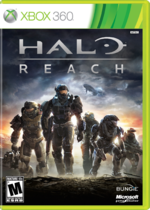 The next game in the franchise, Halo: Reach, was released on September 14, 2010 for the Xbox 360. As a gift to the original players of Halo: Combat Evolved, and also to those who never had the chance to play it, an Anniversary Edition was released for the Xbox 360 on November 15, 2011, with revamped graphics and extra features. The Reclaimer Saga is the ongoing second phase of the Halo video game franchise. 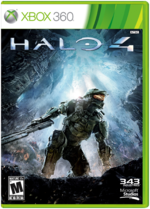 The series launched with Halo 4's release on November 6, 2012. Halo: Spartan Assault, a top-down shooter, was released on July 18, 2013 for Windows 8 and later for the Xbox One, Xbox 360, and Steam. Halo: The Master Chief Collection, a collection of Halo games including Halo: Combat Evolved Anniversary and Halo: Combat Evolved's multiplayer, Halo 2: Anniversary and Halo 2's multiplayer, Halo 3, Halo 3: ODST's campaign, and Halo 4, was released for the Xbox One on November 11, 2014. Halo: Spartan Strike, a spiritual sequel to Halo: Spartan Assault, was released on April 16, 2015, for Windows 8. The second game of the Reclaimer Saga, Halo 5: Guardians, was released on October 27, 2015, for the Xbox One. Halo Wars 2 was released on February 21, 2017. Further expanding the Halo universe are several novels, which provide insight into the background story. The official Halo logo, 1999-2010. The Halo logo for Halo: Reach and related media. The progression of the original Halo trilogy. An image covering the Halo Universe as developed by Bungie Studios. A quick brief of the then Halo Universe as shown on Halo Waypoint in 2009. Full banner commemoration Halo's 15th anniversary.